Car Rental Buddy values safe driving and promotes that all car hire motorists are considerate of other drivers, cyclists, and pedestrians. When in control of a motor vehicle, please ensure you drive for the conditions and you adhere to the correct road rules. Take care around city and built-up areas where pedestrian traffic is more prominent. Be vigilant about your alcohol consumption and ensure you don't drink and drive. Ensure you also do not drive drugged. 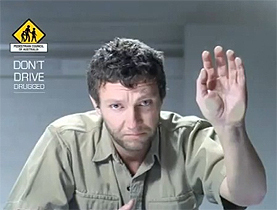 Car Rental Buddy supports the campaign message broadcast by the Pedestrian Council of Australia for 'Don't Drive Drugged'. Visit?Pedestrian Council to view the campaign. If you take prescription or over the counter medication, please ensure you are aware of any potential side effects that may increase your risk of harm to yourself or others while in control of a motor vehicle. These are just some of our safety tips and if you would like to read more information, please visit out dedicated Safe Driving Tips page on our website.